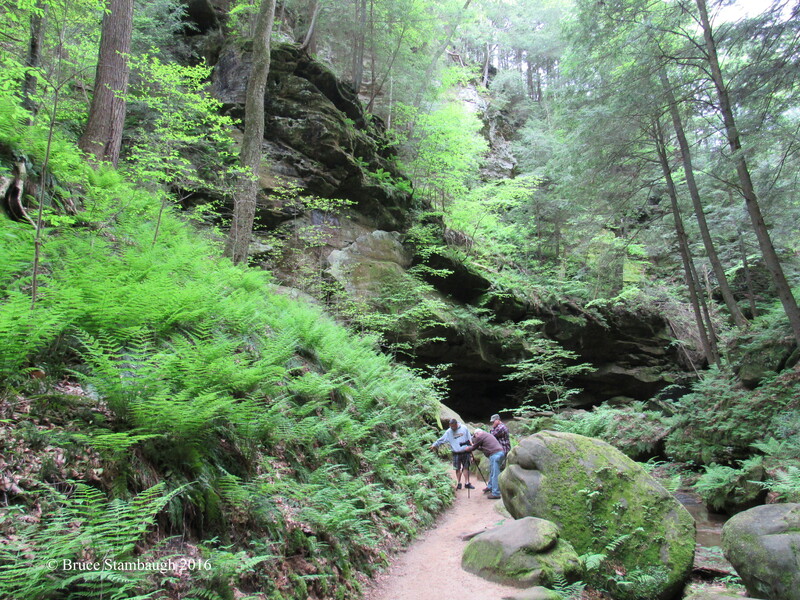 On a recent visit to Hocking Hills State Park, Logan, OH, the many shades of green we encountered astonished us. In this setting in Conkles Hollow, the feathery ferns filled the steep hill beneath massive rock outcroppings and towering cedars and deciduous trees with leaves unfurling. The mosses and lichens added to the natural green pallet as a trio of men did a photoshoot of their own. “Greens Galore” is my Photo of the Week. Every year it ceases to amaze me just how green our little corner of the world is here at home, especially after a long winter. Yes, it is green. And now it’s warm, too.